The Beths featured for the first time on this blog last spring in Erwin Zijleman's post on the band's debut album, 'Future Me Hates Me' (read on here: https://wonomagazine.blogspot.com/2018/10/future-me-hates-me-beths.html (Dutch). The band announced that its debut EP is released on vinyl for the first time, so I decided to take a listen to this record from 2016. What I found is a treasure trove of indie rock songs with a great pop feel to boot. 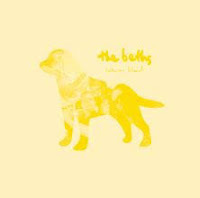 The Beths is a four piece band around singer/guitarist and songwriter Elizabeth Stokes. Together with Jonathan Pearce (guitar, vocals), Benjamin Sinclair (bass, vocals) and Ivan Luketina-Johnston (drums, vocals, tambourine) she creates a wonderful world. A world where a fierce pounding drummer mixes with tingling guitars and four piece harmonies. Just listen how convincing the first song the band releases is. 'Whatever' flies into my ears like there's no tomorrow and for an aspiring band there may not be one. This is the moment, so go for it. That is what The Beths does. All the strengths of the band come together. The oh so pleasant voice of Elizabeth Stokes, a friendly version of Courtney Barnett because she sings slightly more girlish, leads the pop feel of 'Whatever'. Behind her the band cooks up a punky rock song. Punky because the sounds are not blown up beyond a pleasant level and certainly not angry at the world, life, upbringing, etc. It is all somehow just right. Flying Nun in its email wrote a "strong contender for the catchiest record you've never heard". The last part of the comment is no longer valid, obviously, but just until now it was very true. Warm Blood is simply not just catchy, it is highly infectuous, addictive even. Again a band from New Zealand comes to me through an email from a record shop in Auckland, that I may never have the chance to visit, and I am so surprised. In recent years i have been pleasantly surprised by bands from my own country who make fantastic alternative rock music, New Zealand has surprised me almost at the same pace. Warm Blood is an album that every lover of indie/alternative/punky music needs to get acquainted with. It is mandatory, not just a thing to do at some point of time. It is a here and now thing. A song like 'Idea/Intent' is so direct, so full of life, so good. Even the drummer can write a good song. 'Rush 3' is the closest to Courtney Barnett The Beths comes, touching on 60s garage rock as well. The chorus sung by drummer Ivan, I suppose, simply works, while 'Rush 3' finishes nicely with a great guitar lick/solo. Life is so pleasant when surprises like Warm Blood come by. It's time for you to click that link below, if you have not already done so.